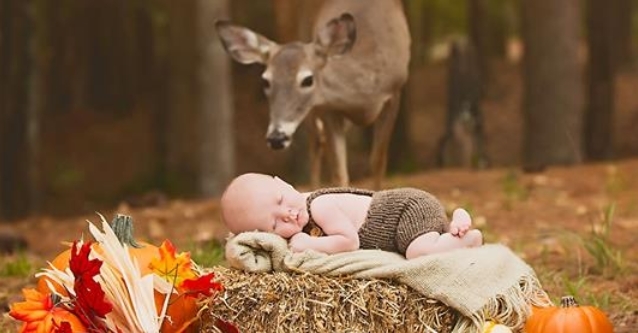 A newborn photo shoot in the woods turned out to be even more adorable than planned when a deer made a surprise appearance. Photographer Megan Rion of Imagine That Photography was snapping 1-month-old Connor sleeping on a stack of hay and surrounded by pumpkins at Sam Houston Jones State Park in Moss Bluff, La., when the deer — known as Maggie — dropped by. 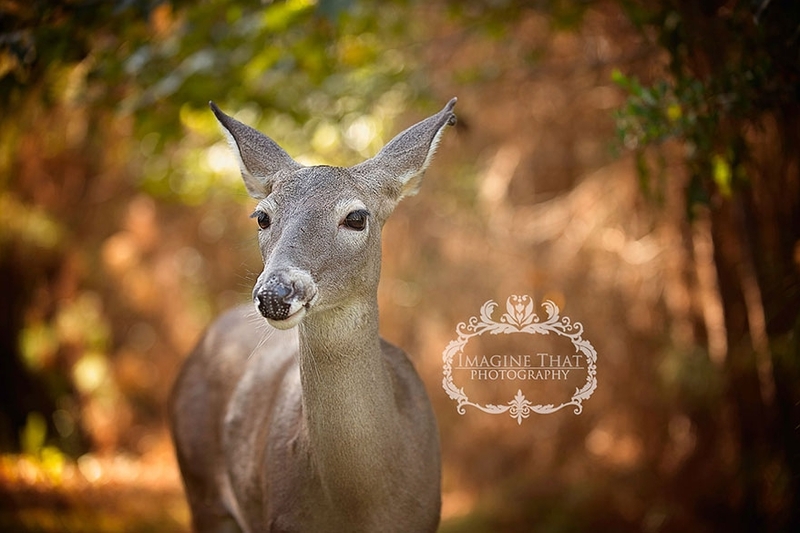 Rogers was in awe, says Rion, adding that she and her assistant lured Maggie over with an ear of corn. Picture perfect. 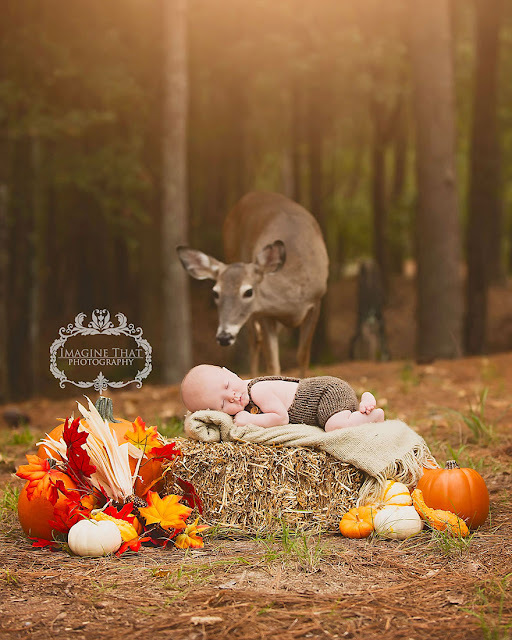 Responses to "Deer Photobombs Baby’s Photoshoot And Turns It Into A Fairytale"
Thank you White Wolf. You always have great stories and pictures. Baby is so cute! Mom is probably very happy with the photo shoot.